If you’re anything like me, you can’t help but chat to Mr Robin when he joins you in the garden. But what if he isn’t who we think he is? 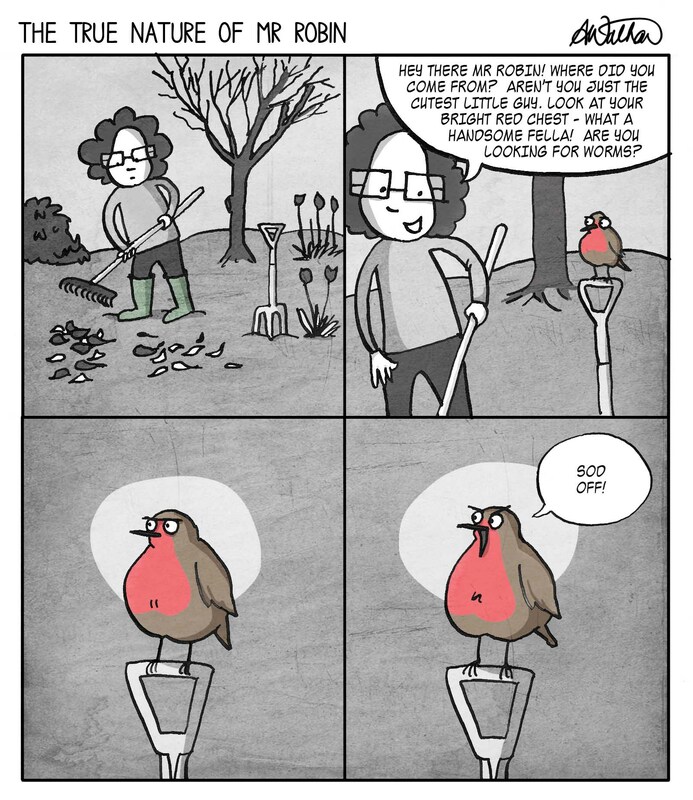 This entry was posted in Animals, Miscellaneous and tagged birds, cartoon, comic, funny, gardening, humor, robin by bighair63. Bookmark the permalink. We make so many humanising assumptions about animals sometimes… Who knows what they’re “actually” like (if it makes sense to ask that question at all)? I like to speculate! Can’t help it, I’ll always anthropomorphise animals. Just call me Dr Doolittle. Thanks, he really is a little shirty isn’t he? !